Our team of artists, technologists and business people strive to be creative and innovative. 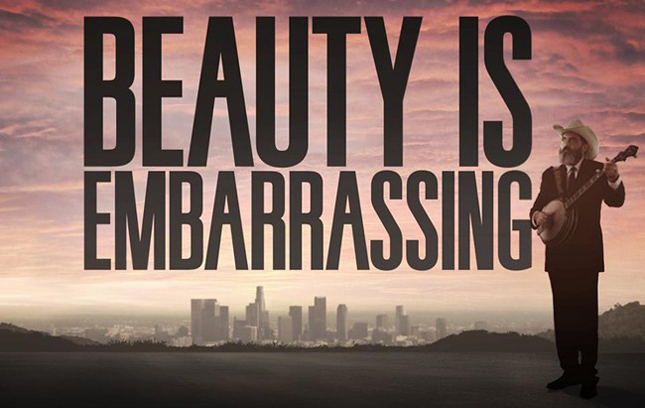 Recently, to gain inspiration we watched the documentary, Beauty is Embarrassing, a film about the creative path that Wayne White and his wife, Mimi Pond, have chosen to take in life. The documentary follows Wayne through his trials and tribulations of doing what he loves for a living, art. After viewing the film, Wayne and Mimi stopped by the office to have lunch and to talk with us. Wayne taught us that life is about doing what you love and that in return you will go where you want. We laughed, ate pizza and were in awe at the brilliant mind that brought us the set design for Pee Wee’s Playhouse and Beakman’s World. It was incredible to hear from the horses mouth that art can be a 24/7 lifestyle and that we aren’t (too) crazy to create for a living. Check out the Wayne’s documentary either on Amazon or via his site to be inspired today. This entry was written by paulhanges and posted on January 25, 2013 at 5:15 pm and filed under Behind the Scenes, Events, Inside JibJab, jibjab, Talent. Bookmark the permalink. Follow any comments here with the RSS feed for this post. Trackbacks are closed, but you can post a comment.